By the time Nov. 5, 2013 rolled around, Tom Suozzi had run out of pizzazz. He was an also-ran with a message about suburban revitalization that was right on the merits (see the New York Times’ endorsement) but had little connection to the audience he needed to reach. In fact, the longer his campaign wore on, the more Nassau Democratic voters stayed home. But look what was happening across the city line. Anybody on Long Island with any liberal-leaning political activism in their genes was excited about Bill de Blasio’s race. He was taking the progressive agenda by the horns and speaking truth to power, even if it meant challenging Gov. Andrew Cuomo’s moderate methodology to do no harm to the plutocrats who call New York home (especially if they happen to live in GOP Sen. Dean Skelos’s Nassau district). 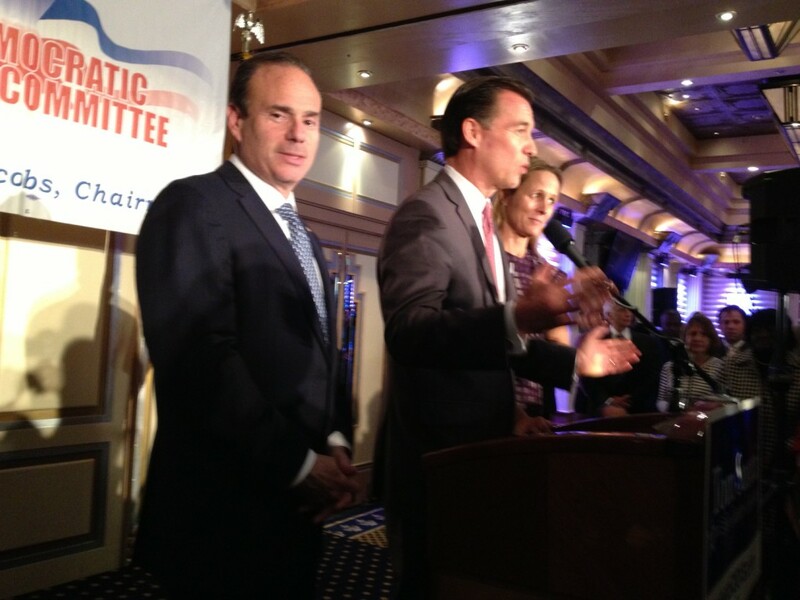 Where was Suozzi’s progressive agenda? If he had it, it didn’t sound like it, or it didn’t make enough noise to be heard above the coverage of the New York City mayoral race. A more progressive agenda for the suburbs would have taken a harder look at Nassau’s status as one of the richest—and stingiest—in the country. The needs are great, the problems are severe. The money is there, but the will is not. And the majority will continue to suffer as our region declines. The traditional approaches taken by Nassau Democratic chairman Jay Jacobs to push Suozzi over the top weren’t strong enough. Jacobs let loose rounds of robo-calls but they just turned people off. He hosted President Clinton in Great Neck, who certainly got party leaders excited, but their enthusiasm wasn’t contagious. Jacobs played the anti-Tea Party card, but he lost that bet because any campaign literature emblazoned with the words “Tea Party” was immediately consigned to the trash can. The rancor over the fanatics’ role in the federal shutdown had faded away—and it wasn’t a local issue to begin with. Besides, that negative branding was too discordant with the politics here. Nassau Republicans are too pro-government services to be lumped into that right-wing fringe—although they don’t want to pay the tab, of course. Meanwhile, practically every taxi cab in the county showed nothing but gratitude for Ed Mangano. So where was the attempt to recast that slogan? Karl Rove, W’s “turd blossom” mastermind, would have turned that ubiquitous message into an embarrassment: “Thanks for doing nothing, Ed!” If Rove couldn’t cover his opponent in slime, he’d turn his adversary’s attributes into a smear. Now, almost everyone can agree that Ed’s a nice guy yet he’s surrounded by not so nice guys. They may not govern in the public interest but they sure know how to stay on message. Their discipline on that front is impressive. Tellingly, Mangano’s insiders weren’t depending on the Republican machine alone to get the job done. Look at their backing of former Freeport Mayor Andrew Hardwick’s cynical “We Count” campaign, which depended on the deep pockets of Oheka Castle’s Gary Melius for support, and their launch of the sham Green Party candidacy of Phillipp Negron, who wasn’t even an official party member before he got a public works job with the Mangano administration. If the Nassau Democrats made political hay out of these tricks, I never saw it stick. The Democrats had months—if not years, considering they were re-running the former county executive—to get creative and they flopped miserably. Suozzi has personal appeal, like a home-grown JFK. Yet he came from the recycle bin, with a lot of baggage, justified or not. Adam Haber, his primary opponent, had some interesting ideas but he started from the top down, not from the grassroots up. In retrospect, maybe Suozzi should have debated Haber in every venue they could, rather than act like the aloof front-runner he was and refuse to engage until the end. At least he would have shown a lot more Nassau Democrats that he wasn’t taking their votes for granted. If party leaders had decided to double down on Suozzi’s candidacy from the get-go, shouldn’t they have anticipated the Republicans’ line of attack? Mangano spokesman Brian Nevin never let a chance go by in the media when he didn’t portray Suozzi as a tax-hiking hellhound. In contrast, Suozzi’s team seemed to be constantly scrambling for traction. You can’t defeat an affable incumbent by sputtering windy expostulations heavily weighed down with nuances. And you need something to excite your base to come out on a Tuesday and vote in an “off-off-off-year election” (as Suffolk Democratic chairman Richie Schaffer dubbed it). What was Jay Jacobs thinking? De Blasio lit a fire in NYC. Here, Suozzi was doused before the match was struck. Next articleBob Dylan. Music Video. Fantastic!